We've been in the photography business for over 25 years, so we know how important it is to get portraits you absolutely love! We know it can seem like a big investment, but, like so many things, the old cliché "you get what you pay for" applies to photography as well. You want to make sure you're investing in photographs that aren't just high quality images, but also capture your personality. So how do you know your photographer is the right fit for your investment? Here's 3 Questions to find the best Dubuque photographers! Proper lighting plays a HUGE role in creating amazing images. Be weary of the phrase "natural light photographer." While this sounds artistic, it's often a sign that the images will be inconsistent in quality. It's true, natural light can create beautiful images, but it's not very reliable. To get good natural lighting, the sun can't be too strong and the clouds need to cooperate... which is a gamble! Some people worry that lighting equipment will make their pictures look fake, but if your photographer is experienced, professional lighting techniques will only perfect your images! And it's also a misconception that professional lighting is only used for indoor sessions. In reality, your photographer should be able to have lighting under control in any situation or location to enhance even outdoor portraits. So even when the sky isn't ideal, your images will still be amazing! Do You Offer Guided Sessions? This is a big one! There are so many tricks to help make your professional headshots amazing from what kind of outfits to bring to how to style your hair. 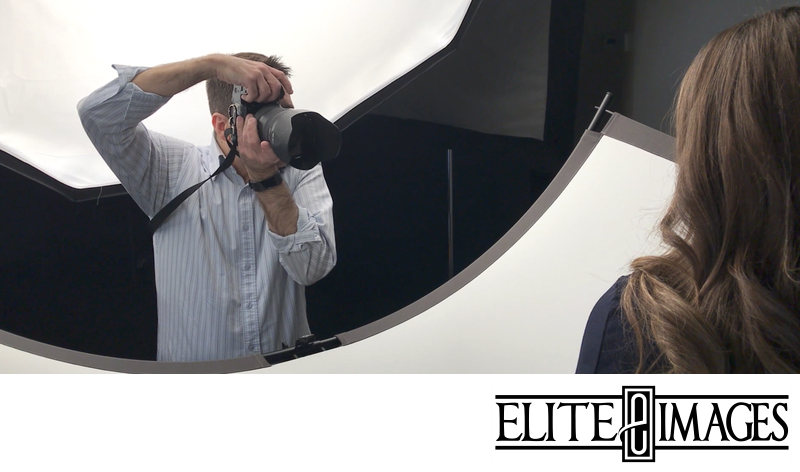 You could spend weeks looking up all of the ways to make sure you look your best, but an experienced Dubuque photographer will be able to help educate you on any aspect that you have questions about and be able to walk you through from start to finish. Not only will a professional photographer be able to provide you with a wealth of knowledge, but they should give you step by step direction during the photoshoot itself. This means they offer direction while you are in front of the camera--showing you how to tilt your head and how to sit or stand--so you don't have to worry about how you look. Your photographer should be able to direct you enough so all you have to do is relax and be confident. This way, you get both the best experience in addition to the best portraits! Alright, so hearing "...or your money back!" might make you roll your eyes because you hear it all of the time in infomercials. But a guarantee policy is not something you should overlook when searching for the right photographer. A quality photographer will want to make sure you love your portraits. If you aren't happy with your images for any reason, they should be able to make it right. Of course, you should always expect that a professional photographer will provide images that you fall in love the first time around. But if something isn't just right, you don't have to settle for images you aren't satisfied with. Ask your photographer what their guarantee policy is and you can be sure that you'll be happy with the photographs!